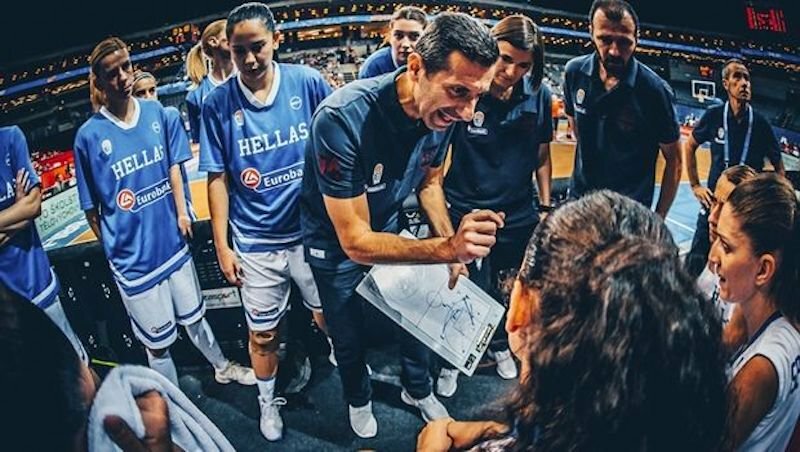 We spoke to Kostantinos Keramidas, the coach of the Greek women’s basketball team after the Eurobasket semifinal where Greece was defeated by France 55-77 in Prague on Saturday. GR: So probably you feel some sort of disappointment, how would describe it? Keramidas: Actually, we started to believe we will win. It’s been for the first time we have entered the Final Four of the European Championship. We tried a lot, but even if we have showed our disappointment, is still success. The only thing we can do now, is to relax and be ready for the fight tomorrow for another game in order to get the medal. I guess so, because this is the best result that Greece has ever reached. 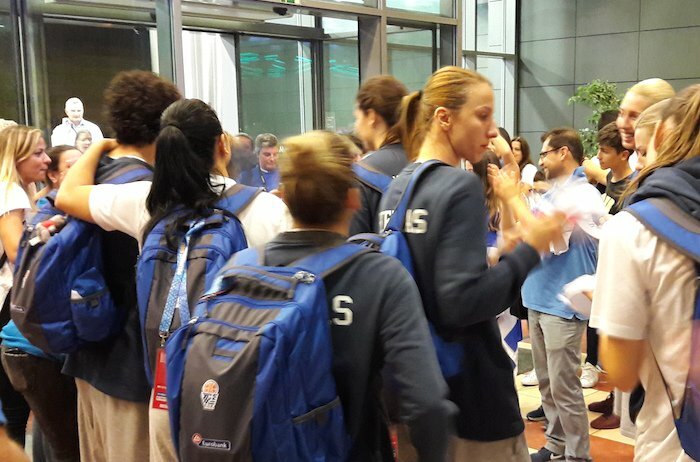 What is the future of Greek women’s basketball in your eyes? That’s a big question. Actually, we do have 3 players nineteen-twenty years old. Maybe these players are going to have the big basketball in their hands. Also, the medal may give chance to everybody in Greece to send their girls to play basket. Maybe we can find some more young players who has talent and potential to play this. How difficult it is right now in Greece to be a girl and to play basketball on professional level in terms of the economic situation and standards of clubs? Very very difficult. In Greece, there is only one team – Olympiacos, which has all the players and a lot of money. All the other teams do not exist. It is a champions league only for the one team. All the other teams struggle to find some little financial resources to keep their players, so it is hard. I understand, however I guess, when you wake up from now in three days, you will have to resolve this as a huge success, even though right now the loss is very painful. Of course, it is a big success anyway. But such a big success will have a happy end, if we get a medal – to have you know the cherry on the top. I will buy my first ticket in my life for the basketball game and I will personally support you in the game for bronze medal. Thank you very much. You will have to see it. The game for the bronze medal of FIBA EuroBasket Women will take place in Prague between Greece and Belgium on Sunday June 26, 18:00 (GMT+2). Even if Greece ends up without medal, this is the best performance in history.